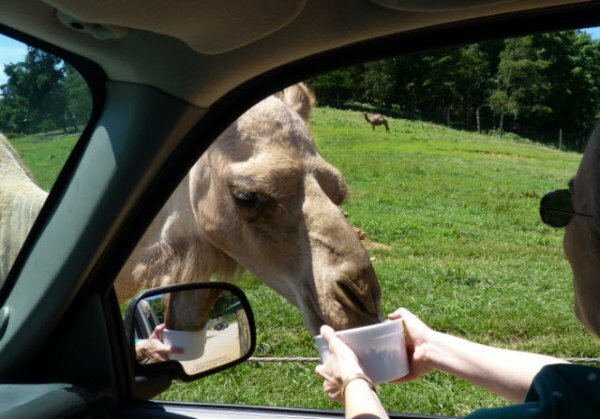 Feading the Camel at the Virginia Safari Park. Hold onto your bucket!! !